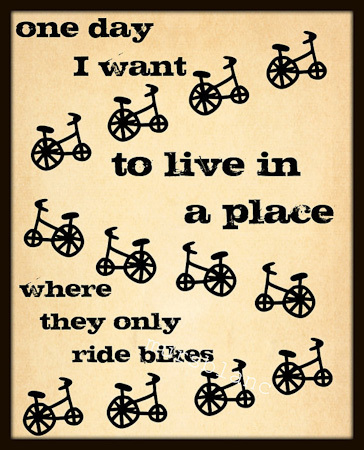 A place where they only ride bikes. You can get this brilliant print, the one below, and lots of other original handmade stuff (including loads of cool bike-themed patches, T shirts and trinkets) over at Etsy. This entry was posted in Bike Talk on September 7, 2011 by Cass Gilbert.